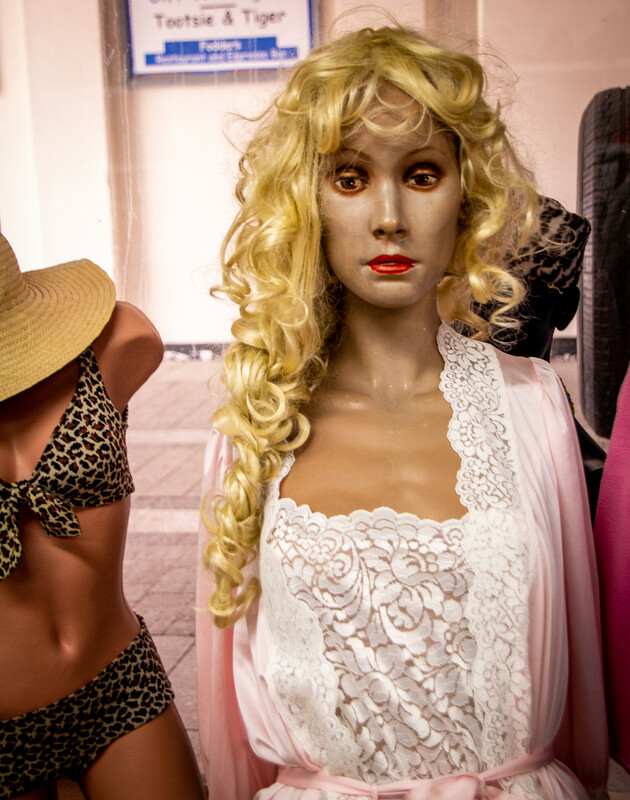 Another in the secret lives of mannequins series. It was a rough night! She does look a bit shocked....through a hedge backwards comes to mind! Oh dear she looks as though she has lost a shilling and found sixpence.